It’s a hazard of being a Realtor who loves their job… I have a way of falling in love with almost every home I step into. I find myself thinking of how I would use the spaces, where furniture would go. At the very least, I realize that I’m brainstorming kitchen renovations and how to reconfigure a funky bathroom to make it work for our little household. It’s not unusual that I peruse potential new homes with my Buyers or walk through a Seller’s house and find at least one feature that makes me swoon. 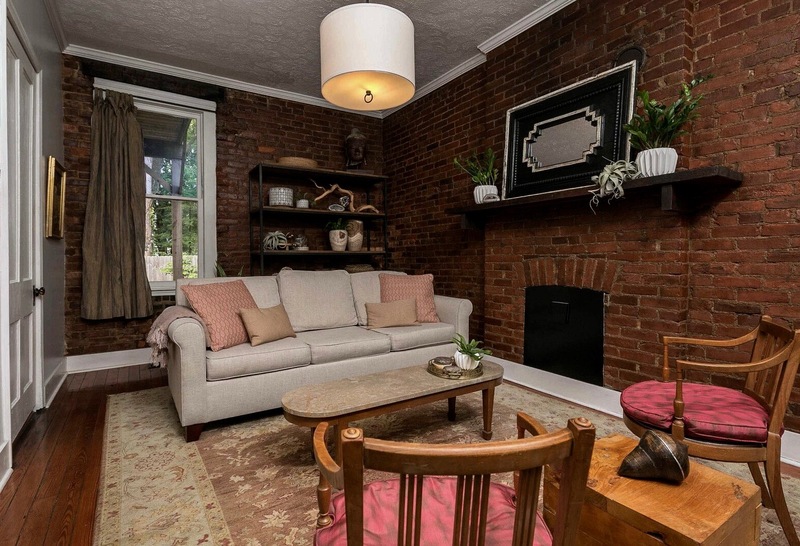 In my most recent listing- a little Victorian full of personality in Old Louisville- it was the exposed brick walls. My favorite feature of this space is the “shelfie” taken by one of the owners during our staging phase. 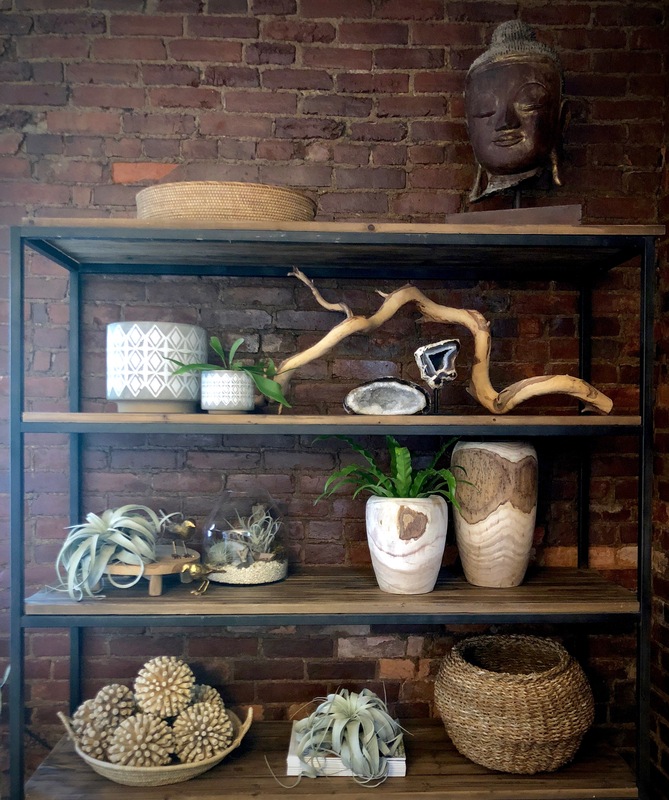 While so many exposed brick interiors I see lean a little more industrial, the mix of objects the owners chose here all have a natural feel; woven baskets, neutral-colored vases, and the wood featured via the branch and vases mix with green ferns, airplants, and an intricate terrarium to lend this soft, comforting, almost Mother Nature’s living room feel. 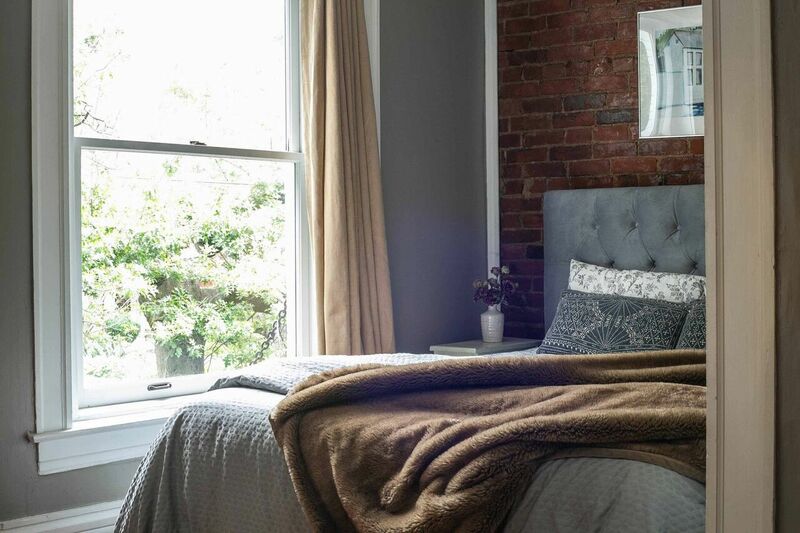 The entire space leans more comfortable than stark, with soft fabrics, that comfy Pottery Barn sofa, a vintage mirror, and- upstairs- the exposed brick in a guest room’s bed nook serves as a backsplash to pale colors, cozy bedding, and a plush, tufted headboard. Brick- though viewed as a masculine, contemporary material- does have multiple personalities. Don’t be afraid to take a chance on mixing your exposed brick with softer, more feminine, and more traditional decor. The result- a well-collected space- could surprise you.